Is it a bird? Is it a plane? No, it’s a sculpture. Or is it a drawing? It’s so hard to tell sometimes. 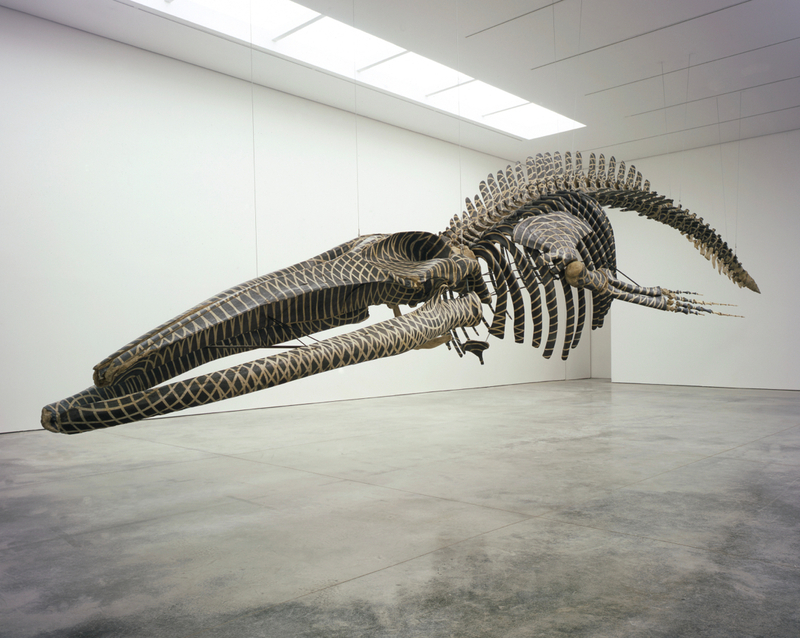 Gabriel Orozco’s Dark Wave is a replica of a whale skeleton – so, clearly sculpture – on which a pattern has been drawn – a drawing then – it’s all so confusing. Quite apart from the overwhelming scale of the piece, what I like about this work is the ambiguity of the thing. There’s the starting point of it feeling like a readymade that’s been worked – an approach Orozco has used a lot in works like La DS – on but in fact the skeleton is remade resin and calcium carbonate before being draw on in graphite. Then there’s the way the pattern makes it harder to quite figure out the skeleton but still somehow manages to feel like it’s meant to be there, albeit in a way that makes the piece feel like it might be some sort of archaeological find.